Open All year and ideal for those who enjoy the outdoors. Our bunkhouse is perfect for groups and is furnished in the same modern style as our en-suite rooms. 9 single beds & 2 bathrooms. £45 per person per night including breakfast. All linen and towels provided. 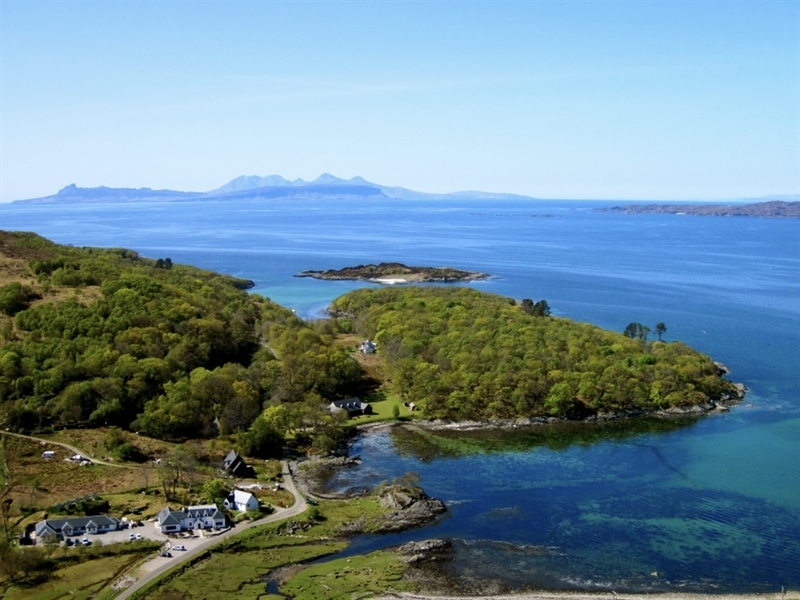 Glenuig Inn is located on the route north from Oban via Mull to Skye, just off the Road to the Isles and is a destination in its own right: perfect for visiting Ardnamurchan, the Sound of Arisaig, the Small Isles, the area around Glenfinnan or to stay en route as part of a journey. The Bunkhouse is furnished with 9 single beds (no bunk beds) and 2 en-suite bathrooms with showers. Linen, towels and breakfast is included in the tariff. We take bookings by the bed or for the whole room, so we can accommodate you whether you are part of a group or travelling solo. There is a small coffee and tea making facility but no cooking facilities. There are also 2 en-suite rooms suitable for bunkhouse style usage so we can cater for groups up to 20. Unless you book the Bunkhouse exclusively for your group, it is restricted to 18's or over: and whilst the Inn is dog friendly throughout, we can’t allow dogs in the bunkhouse unless it is booked on an exclusive basis. Our seasonally changing menu of freshly prepared dishes includes something for everyone including vegetarian and gluten free options. 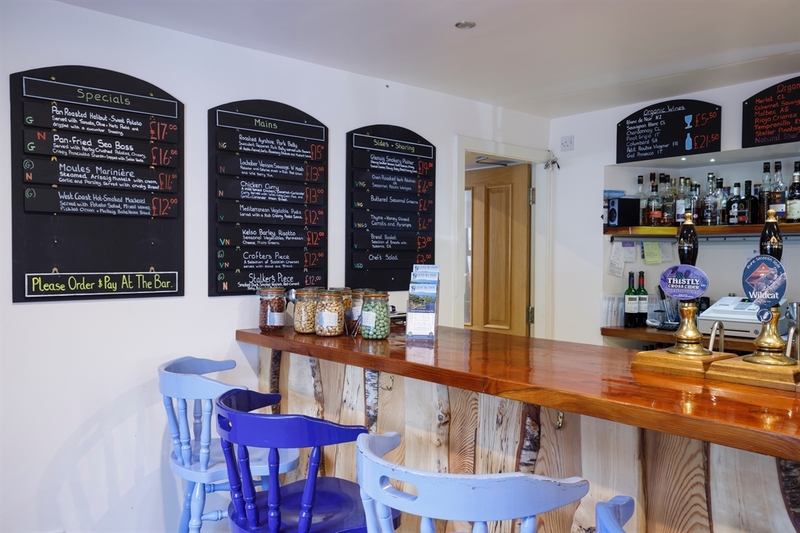 You’ll find a selection of fish and seafood dishes reflecting our coastal location, Scottish smoked salmon and cheeses, Scottish field and game, locally made bread, and plenty of fresh vegetables and salads. Green Tourism Business Scheme - Gold since 2011. 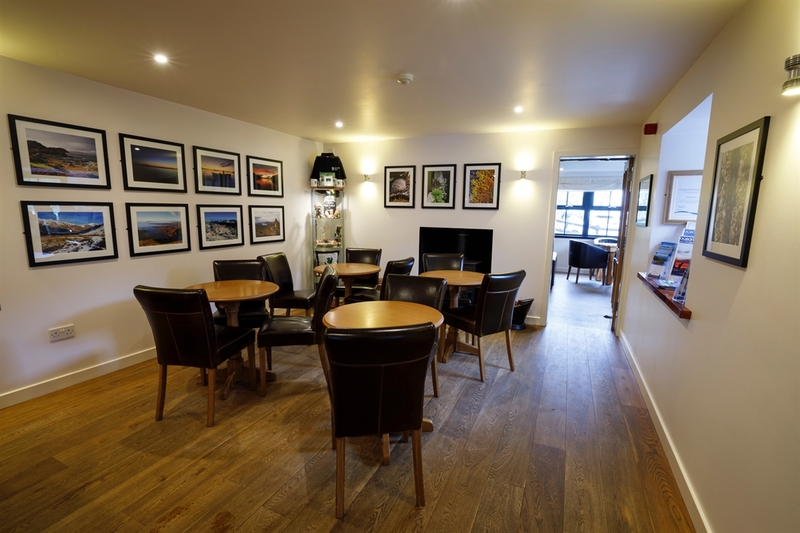 Why not pay us a visit, enjoy a meal, stay the night, admire the stunning view in the knowledge you are treading lightly.